The plaque at the museum says the weird look here is Cubism showing faceting and geometry. 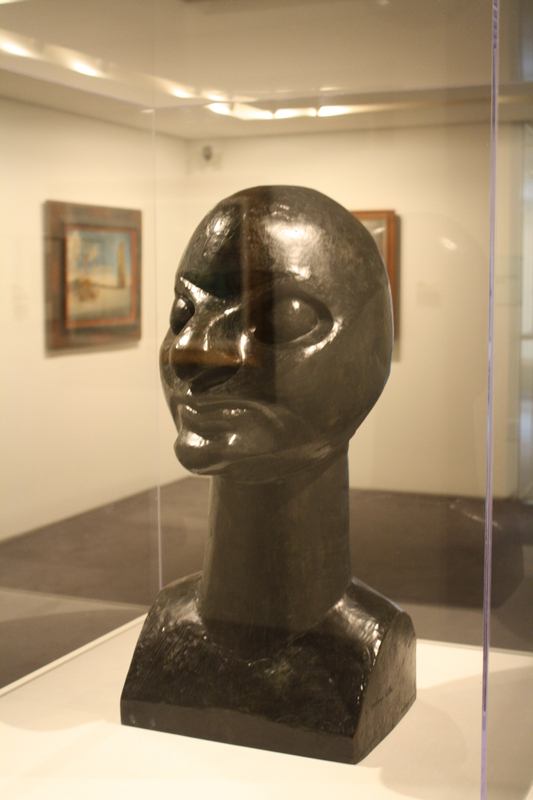 He was inspired by African art and the Midieval sculptures of gargoyles on the Chartres Cathedral. I was surprised when I saw the name is Maggy because my first impression was that this is a space alien guy. I must admit I enjoy Twitter. The quick exchange of ideas has always fascinated me. Twitter has delivered. “One of the marks of a great artist is that they reveal layers of their subject and themselves that you normally wouldn’t see. As you experience their art, you will have an understanding of something deeper than you thought was there. I always find some hidden treasure when I look at great art, and it is always a joyful discovery. I make it a point to immerse myself a little deeper than I had intended and see what I discover about the subject and the artist. When I do this, I always reveal some new layer of my own. When you look at Art…how does it make you feel? What does it make you think about? Isn’t this the object of true creativity? How cool is this guy ! 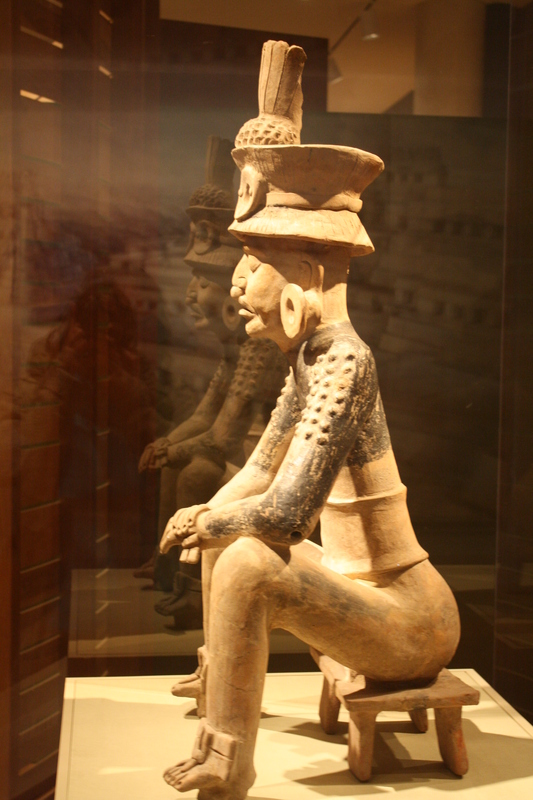 The plaque at the museum says this is an ancient Mexican god who is shown wearing the skin of another human. (evidently not a modern horror idea) The peeling off of skin represents rebirth like a kernel of corn sprouting. I think this is the corn god. It looks like corn kernels under his skin. And those legs look like corn stalks going into the ground with feet not for walking. I drew it in 2011 and it makes me want to get some clay and do sculptures of primitive figures. You can see the drawing on my web site. This is the same artist that made La Riviere. When I started to draw them, I was struck by the difference between the Impressionists and the classical Greek style of the figures in Hollywood Cemetery. These figures are standing flat footed. They’re kind of primitive looking. At first I thought stiff, but later thought graceful.. This artist was a master at making the figure. 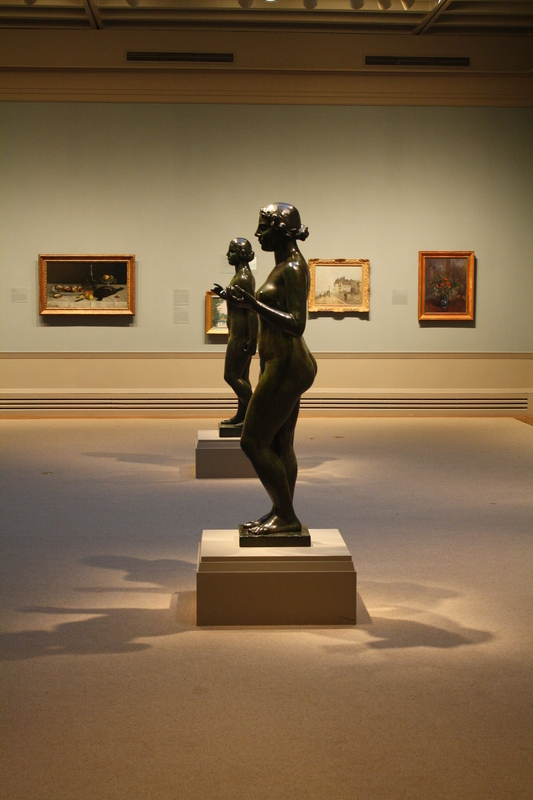 The Impressionists liked primitive art and showed it in their work. I drew them each a few times, then arranged them like the 3 Graces. I made up a reason for their hands to be posed like this. They’re having an apocalypse party. You can see my finished pastel on my web site. Sisterhood of the Muse by Chris Ludke is licensed under a Creative Commons Attribution-NonCommercial-NoDerivs 3.0 Unported License.